Brecksville-Broadview Heights Middle School was officially presented with its 2018 National Blue Ribbon Award in a ceremony that took place earlier this week in Washington, D.C. Officially honored at the Omni Sheraton Hotel in the heart of the nation’s capital, Principal Todd Rings was joined by Superintendent Joelle Magyar and other members of the Blue Ribbon Committee from the Middle School to join the other 348 school districts nationwide to receive this historic, commemorative honor. 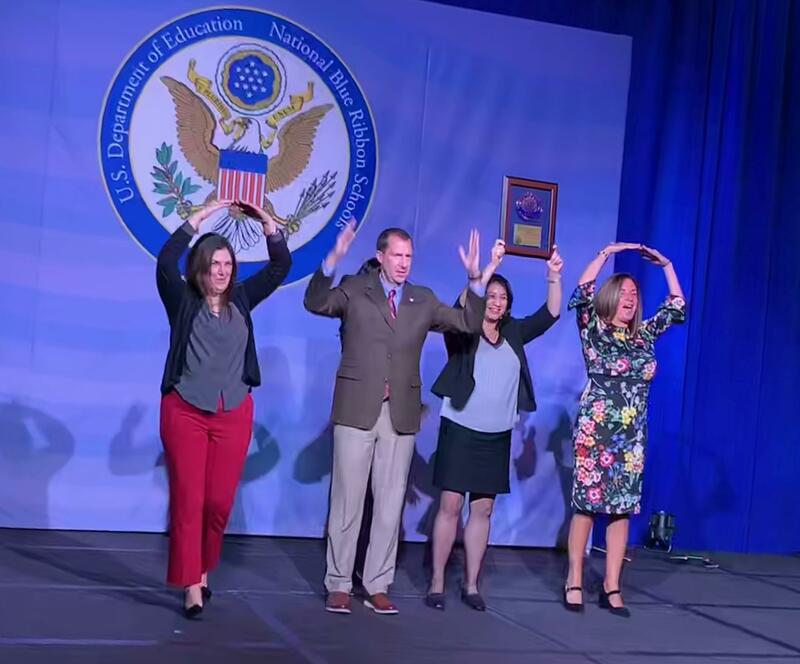 After receiving the official award on-stage, the BBHMS delegation faced the audience and made the O-H-I-O formation, to formally pay tribute to being named the only middle school to earn the 2018 National Blue Ribbon honor from the State of Ohio. Congratulations, once again, to the Brecksville-Broadview Heights Middle School staff, student body and families, for earning this most coveted recognition.